Call A to Z Entertainment, Inc. today for free information about how to hire or book country musicians, The Royal Ladies of Country Music. We are your best booking agent and top talent agency for booking the country music tribute group, The Royal Ladies of Country Music! We book or help you hire any live professional entertainment you want, to include – country musicians, country singers, and country music tribute bands. Leona sings and writes the Lyrics of Life Experiences! Leona Williams was destined to become a Country Music Entertainer. Her music journey has taken her all over the world allowing her to sing before thousands of country music fans. Leona moved to Nashville in the 60’s and was soon recording for Hickory Records with such hits as “Once More” and “Yes Ma’am, He Found Me In A Honky Tonk.” Since then she’s made many appearances at the Grand Ole Opry. She later teamed up with Merle Haggard for a top ten duet called “The Bull and the Beaver” and a duet album followed called “Heart to Heart”. 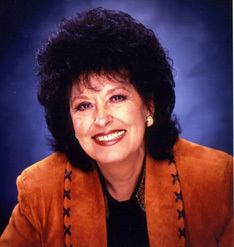 She wrote some of Merle’s biggest hits including “You Take Me For Granted” and “Someday When Things Are Good.” Her songs are recorded by some of Country music’s most popular artists including George Jones, Tammy Wynette, Moe Bandy, Randy Travis, Hank Thompson, The Forester Sisters, Gene Watson, Merle Haggard, Loretta Lynn, Ray Price, Johnny Bush, Willie Nelson, Connie Smith, and many others. In 1999, Leona was inducted into the Country Music Association of Texas Hall of Fame, honored with the prestigious George D. Hay Award in 2002, and recently inducted into the Missouri Country Music Hall of Fame. Ava sings, laughs and lives the Heartland of America! Ava Barber grew up in Knoxville, Tennessee and began singing professionally at age 10. She gained exposure on a regional country music television show and then a “Wunnerfull” opportunity came her way… she auditioned for The Lawrence Welk Show. In 1974, Ava did her first show with Lawrence Welk and “Hollywood’s Country Sweetheart” was born. Ava pursued her recording career and experienced success with her recording of “Waitin At The End Of Your Run”, then scored big on the charts with “Bucket To The South”. It made #13 on Billboard, in the U. S. and #12 in Canada. Performing on nationally watched television shows and having a hit record opened many doors for Ava. She’s appeared on many television shows such as: “Nashville Now”, “Music City Tonight”, the “Crook & Chase Show”, and has played on The Grand Ole Opry. 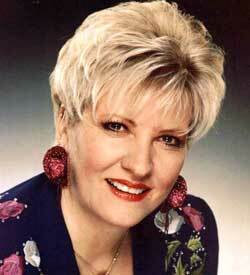 Many fans all over the world continue to watch her on eTV today through the reruns of the Lawrence Welk Show. Ava continues to travel all over the U. S. and Canada doing what she loves the most… singing real country music. Whiskey-voiced Becky Hobbs is one-of-a-kind. She is a gifted songwriter, as well as a captivating entertainer. On stage, she plays some rockin’ keys, yet she can rope you in like an Oklahoma cowgirl with her from-the-heart ballads. Becky has performed in over 40 countries, including nine inAfrica. Her songs have been recorded by Alabama, Conway Twitty (“I Want To Know You Before We Make Love” went to #1), George Jones, Loretta Lynn, Emmylou Harris, Glen Campbell, Wanda Jackson, John Anderson, Janie Fricke, Lacy J Dalton, Moe Bandy, Shelly West, Helen Reddy, Shirley Bassey, Jane Oliver, Ken Mellons, and others. She is the co-writer of Alabama’s hit, “Angels Among Us,” which has been used by many charities throughout the world, including St. Jude Children’s Research Hospital. “The Beckaroo,” as she is called by her friends, was born and raised in Bartlesville, Oklahoma. She is a citizen of the great Cherokee Nation. She started playing piano and writing songs when she was nine years old and formed her own all-girl rock band in high school, which has since been documented as the first all-female rock band in the state of Oklahoma. 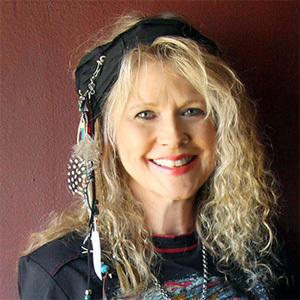 She spent 2 years in Baton Rouge, LA playing in southern rock band, “Swampfox,” before her dreams took her to Los Angeles, where she lived for 9 years. During the “Urban Cowboy” craze, Becky started writing songs for Al Gallico Music. Thanks to Al, Becky got her first major deal with Mercury Records, and had chart success with “I Can’t Say Goodbye To You,” “Honky Tonk Saturday Night,“ and others. We’re your best agency and agent for hiring and booking live country bands, country music singers and Royal Ladies of Country Music! We can help you book or hire any country musicians and country tribute bands too and we’ll help you plan and produce your show or event. Call 888-655-4575 today to check available dates for booking Hunter Hayes. We are not the exclusive agency for any live entertainers on this site.